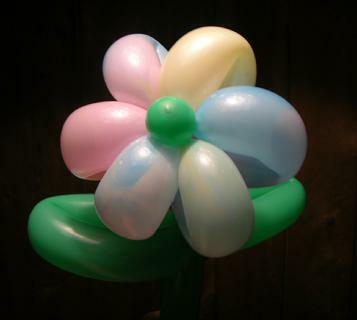 Learn how to make your own beautiful colorized balloons! The kit contains instructions and all the latex you need to color 100-200 balloons. 4 two ounce dropper bottles of liquid latex are included. Colors included are : red, yellow, blue, and white. The instructions tell you how to go about making colorized or "agate" balloons. The focus is on 260 twisting balloons, but covers other balloon sizes as well. The instructions are available as a printed book or as an Adobe Acrobat file on an CD. Kits are currently out of stock due to poor quality of latex. You can still purchase the manual below.